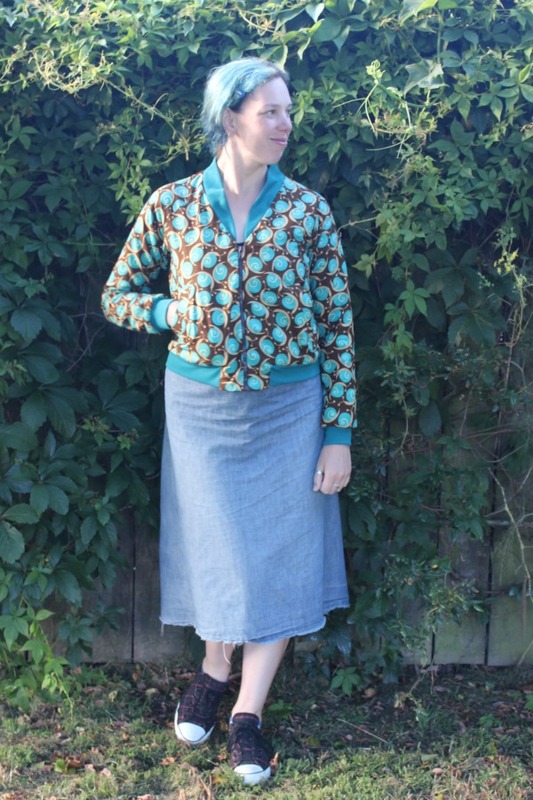 Here’s a pattern I’ve been meaning to make since I first saw it – the Rigel bomber jacket from Papercut. Anyways, back in November last year, there was a bit of a conversation happening on Instagram with Ginger around how a bunch of us have the Rigel pattern, really want to make it, and haven’t gotten around to it yet. Clearly, we needed a bit of encouragement. 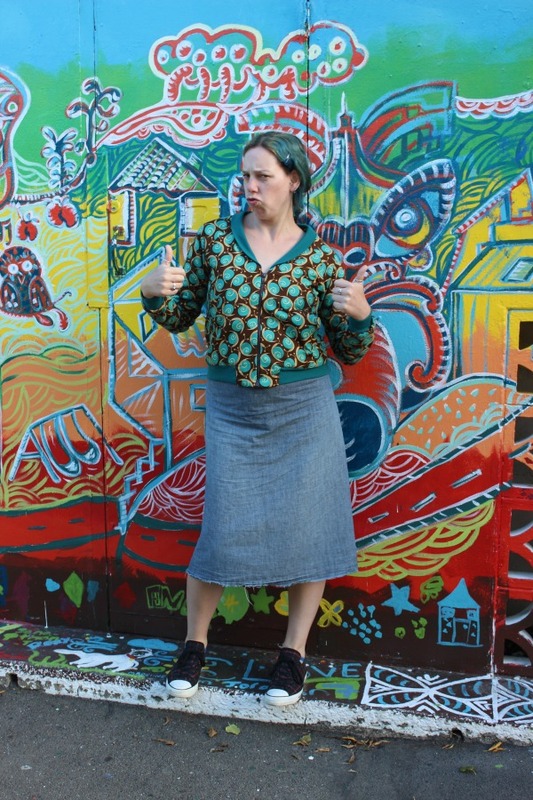 And so, Rigel Bomber Jacket January was born! 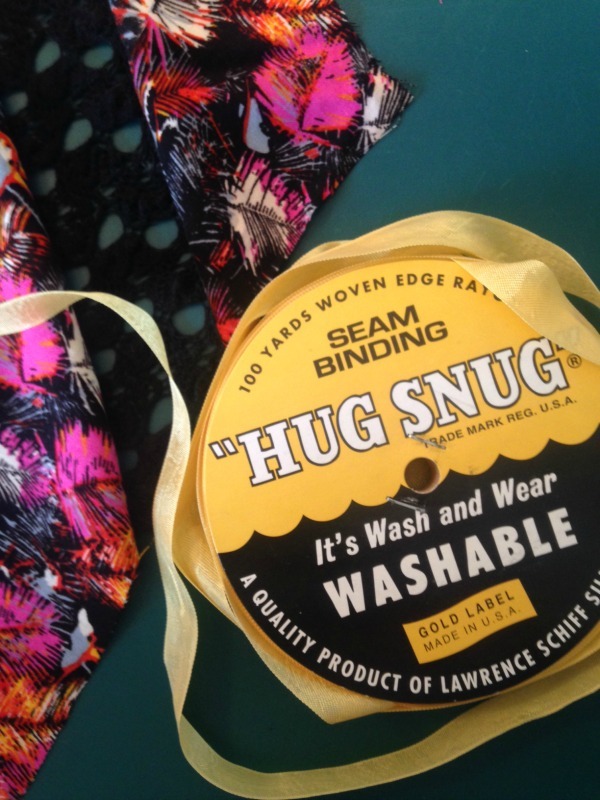 A time to pull out those Rigel patterns that have been languishing in our stashes, and actually use them. 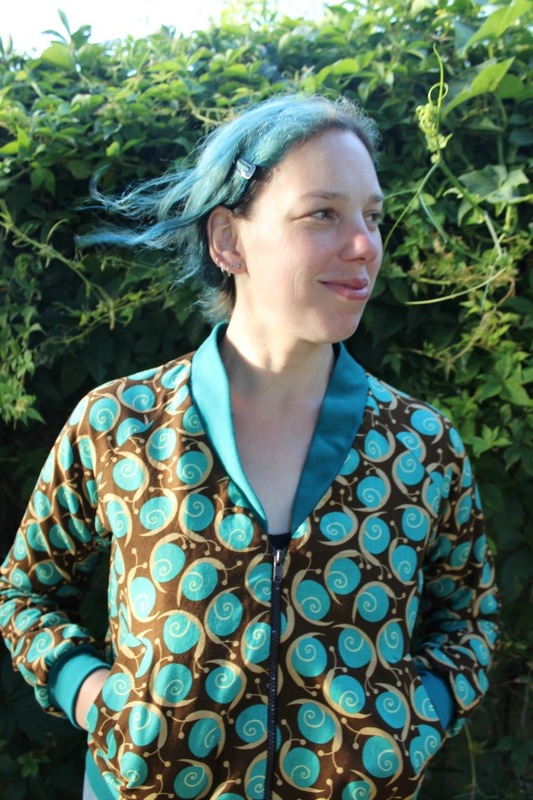 I’m pretty happy that this happened – because hey, now I have a bomber jacket with snails on it! Oh yeah!! Since I plan on wearing this a lot during spring and autumn (I currently have another bomber jacket I wear during those months – when you need an extra layer, but a full winter coat is a bit too much, but the zip on one pocket is broken, and things fall out as a result, which annoys me lots so I’ve been wanting to replace it. Plus, being RTW, the sleeves are too short on me) I wanted this one to be a bit warmer than just one layer of lightweight canvas. So, I added a lining. And I underlined it with flanelette. And just for fun (inspired by Ginger’s post with her quilted lining) I quilted the lining and underlining together. Wanna see the flannelette I used as underlining? ‘Course you do! 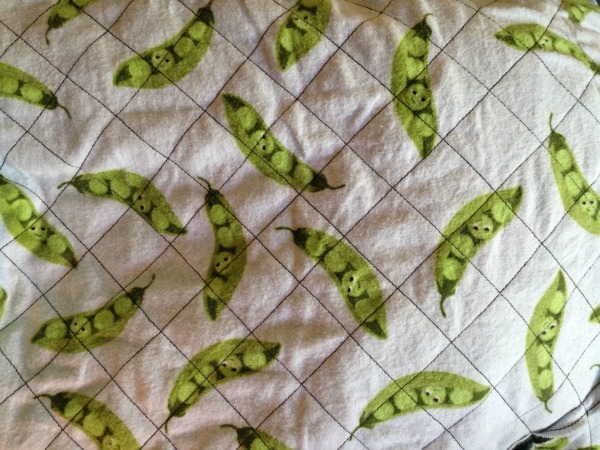 Check it out – happy pea-pods! 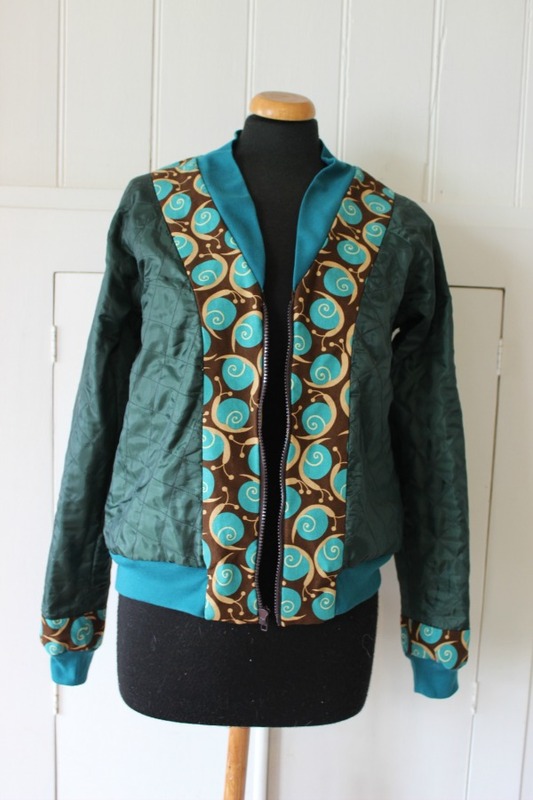 Yep, I have a jacket covered in snails, with hidden secret under-the-lining happy pea pods. 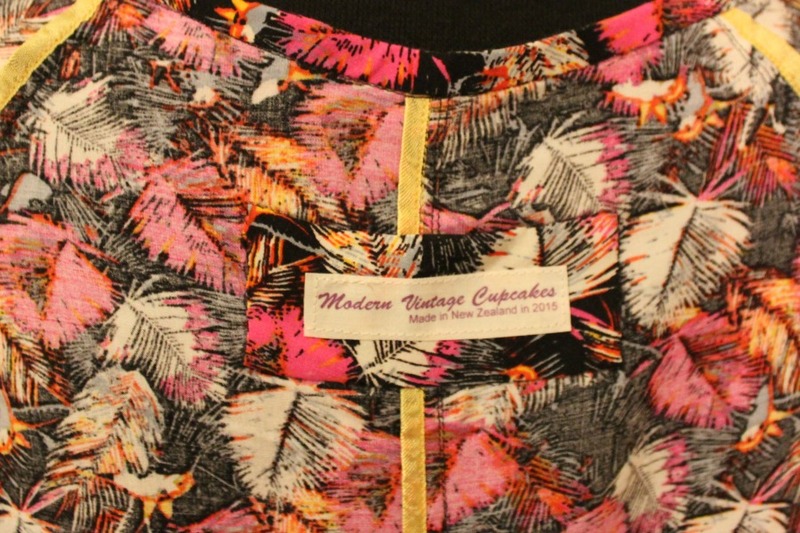 Some days, it makes me crazy happy that I can sew my own clothes – where else would I find combinations like this?!? Snails are also clearly masters of disguise, as they do remarkably well as urban camoflage…. Speaking of Jungle January, there is a hidden rrrooawrrr! in this bomber, too. 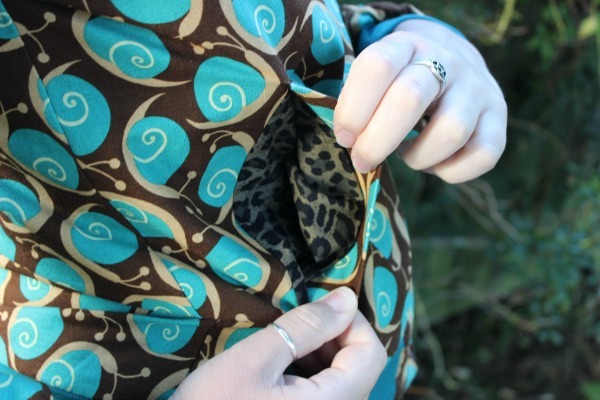 Check it out – secret stealth leopard print pocket linings! Woah yeah!! Rawrrrr!!! I am a leopard in disguise, oh yes I am. 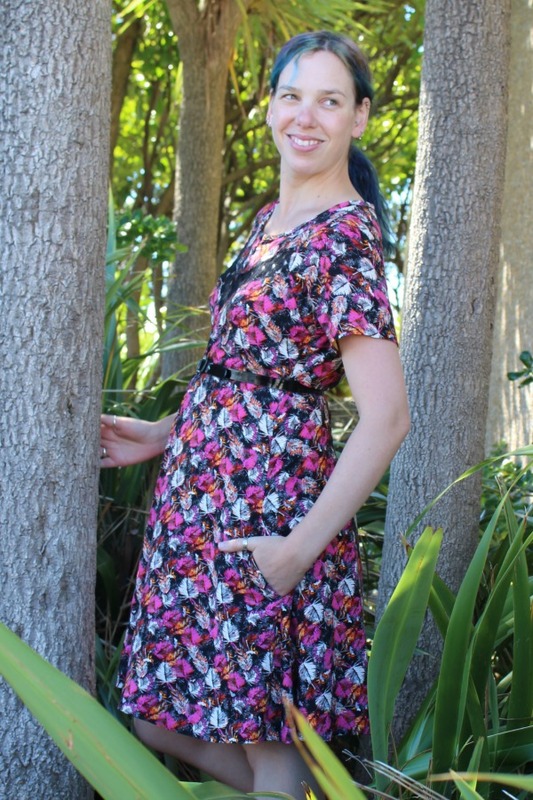 It’s a nice and easy pattern to make up – good instructions, raglan sleeves so no pesky setting in sleeves business, and crazy-easy welt pockets. Gotta love that! 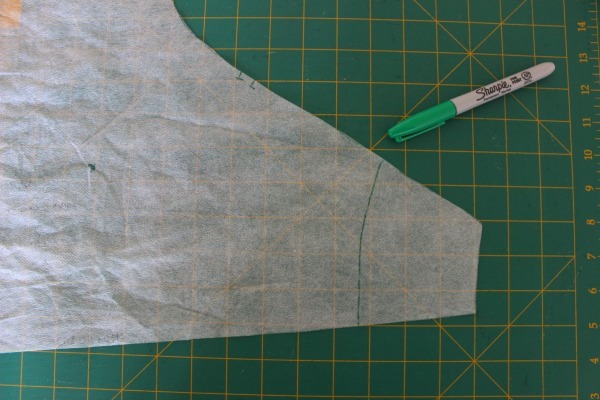 Aside from drafting a lining (you can read how I did that over here), the only other change I made was to the sleeves. 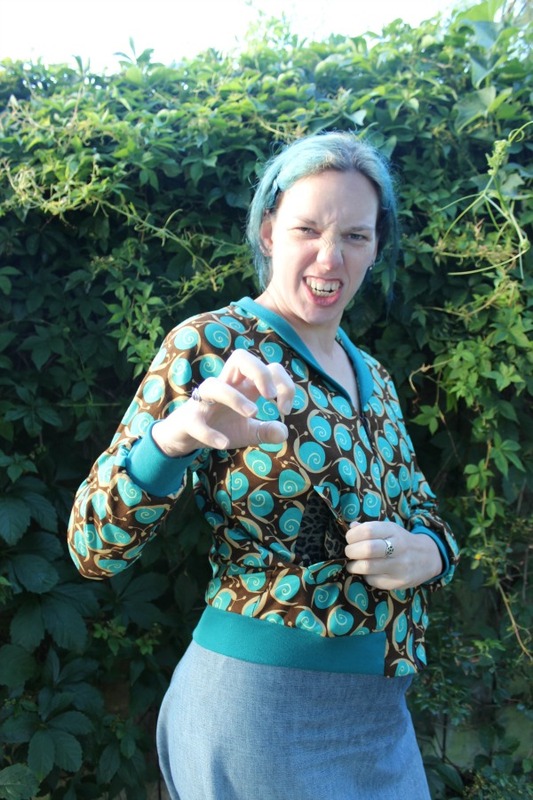 I’m tall, with crazy-long-gorilla-arms, so I added three inches to the sleeve length. (I kinda mis-measured to begin with and only added one inch, so I’m very glad I stitched up the lining first and tried it on to discover that mistake! Hence why there’s a band of snails around the wrists of the lining of the jacket – it’s a patch-up job, disguised as a “design feature”.) Even with that extra three inches, I feel these sleeves are only just long enough – next time, I’ll add four inches instead. 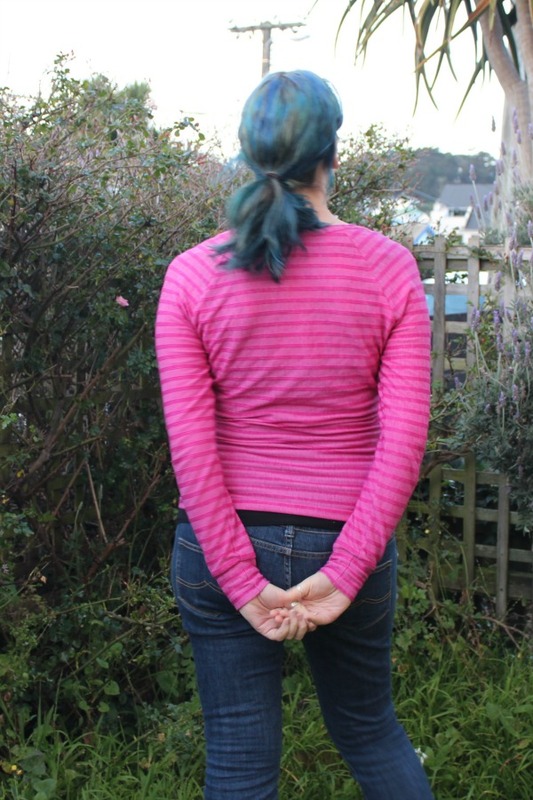 One change I will make next time – I’m not really happy with how the ribbing is sitting at the neckline. It’s a bit too loose and sticks out from my neck a bit. I tried folding it over on itself, which kinda looks a bit better at the front, but kinda doesn’t at the back…. Anyway, it may well be because the ribbing I used wasn’t the best (see previous comment about Spotlight – the place we love to hate) and potentially too lightweight for this, but either way I think that next time I make the Rigel I’ll make the neck ribbing a bit narrower so it doesn’t sit up as high. I’m also going to widen the shoulders a bit, since I have broad shoulders. But that’s not an uncommon adjustment for me to have to make, either. Coz, you know – tall and stuff. Aside from that, I’m totally loving my new jacket! Quilting the lining really did make me happy, and it’s encouraging me to take more time to add those sorts of little details to my creations this year to make them extra special (even if no one else sees the bits that make them special – it’s all about adding things that make me smile, after all!). 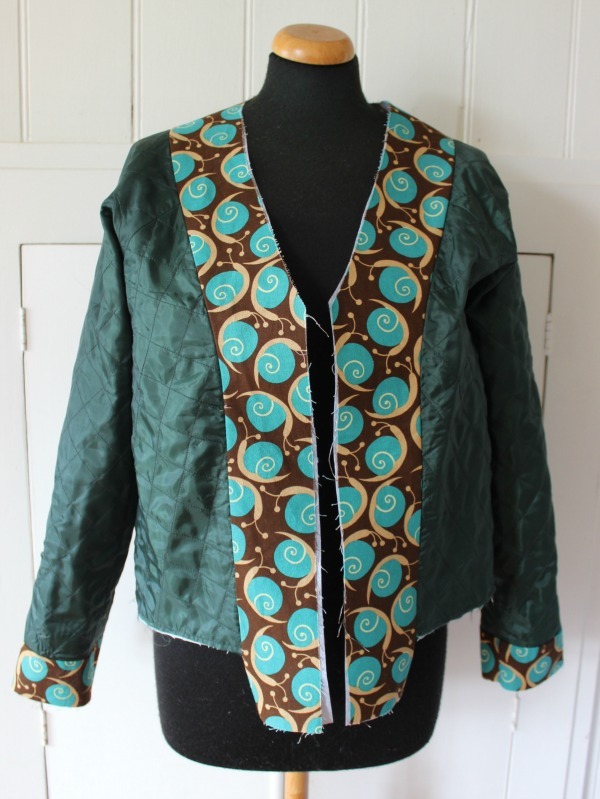 My current project (well, my just-completed-but-no-photos-yet project, really) is the Rigel bomber jacket by Papercut Patterns. 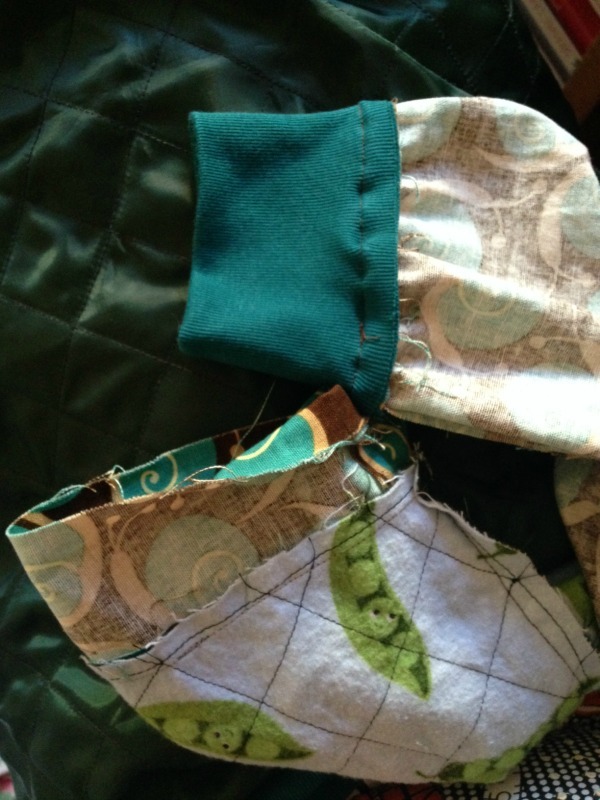 I made one key change to the pattern while sewing it up – I added a lining. Which, from looking around the blog-o-sphere, is something that quite a few people have done, or want to do. 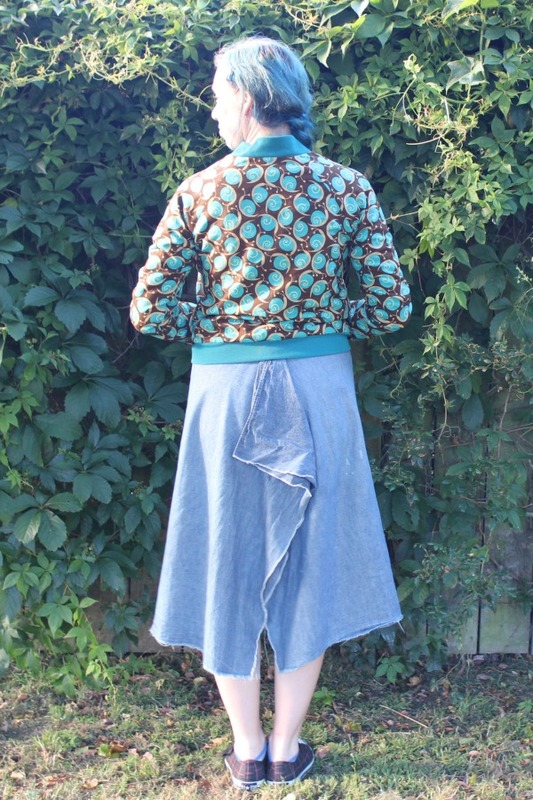 So, in case it’s useful for anyone else, here’s how I lined my Rigel bomber jacket…. 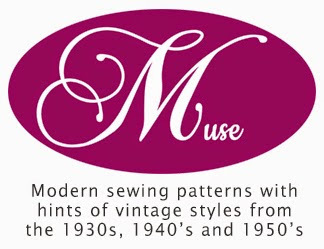 Now, usually linings in jackets have more ease than the jacket itself – if you look at any tailored, lined RTW jacket you’ll usually see it has a small pleat at the centre back just below the neckline facing, and the lining is also longer at the hem and sleeve cuffs and bags out slightly. 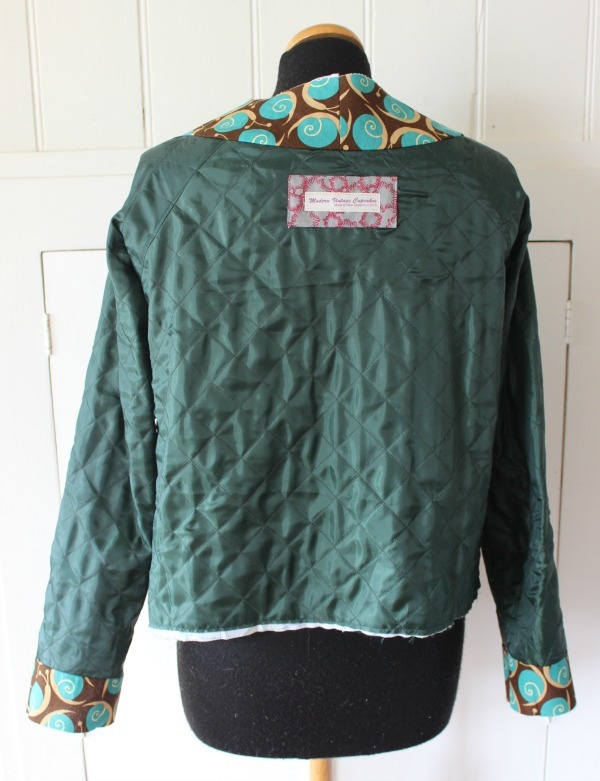 Since the Rigel bomber is a loose-fitting style (and since I wanted to do a quilted lining for my jacket) I haven’t added any of that extra ease – instead, the lining pieces I made were directly from the main jacket pieces. 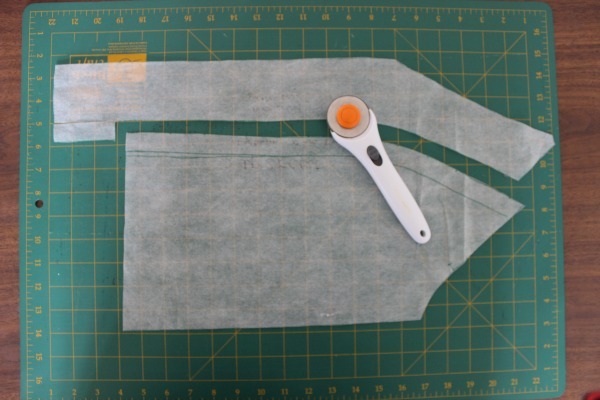 (It’s pretty easy to add the extra ease if you want it though – simply make your lining pieces longer, and add a small extension at the top of the centre back seam of the lining.) So with that in mind, let’s get started! 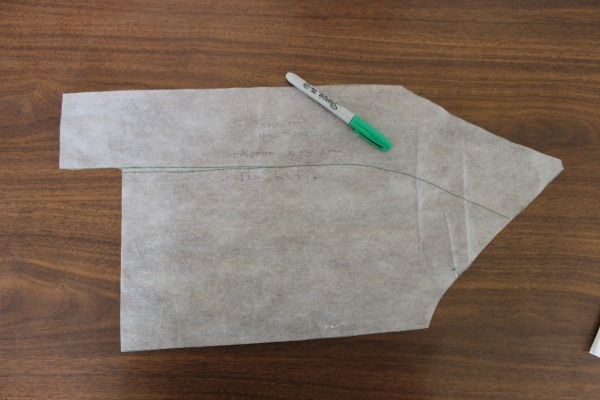 Three new pattern pieces need to be made for the lining – front, back and sleeves. 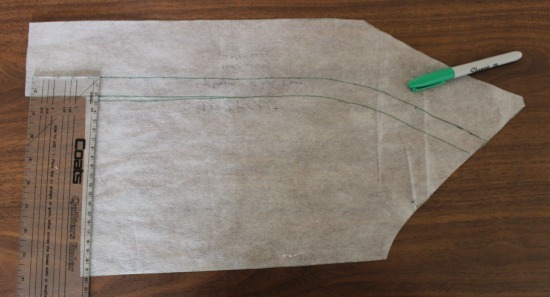 Start by tracing the original front, back, and sleeve pieces. 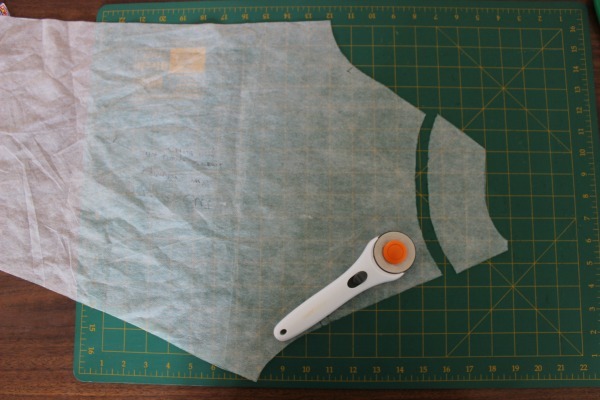 (Note: use variation 1 sleeve as a base for the lining, no matter which variation you’re making.) Remember to mark on all three pieces that they’re for the lining! 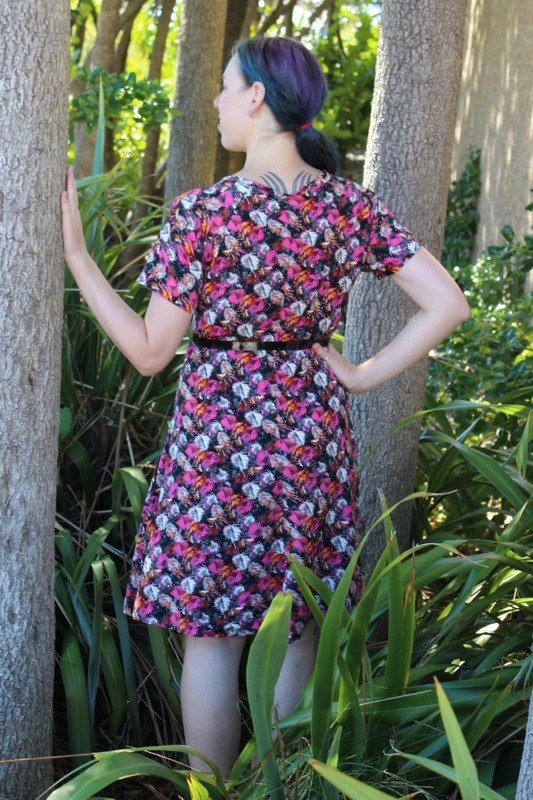 Trace the facing pattern piece onto your back lining, with the neck edges aligned. The curved end of the facing is the one that lines up along the back, as this will follow the curve of your neck. 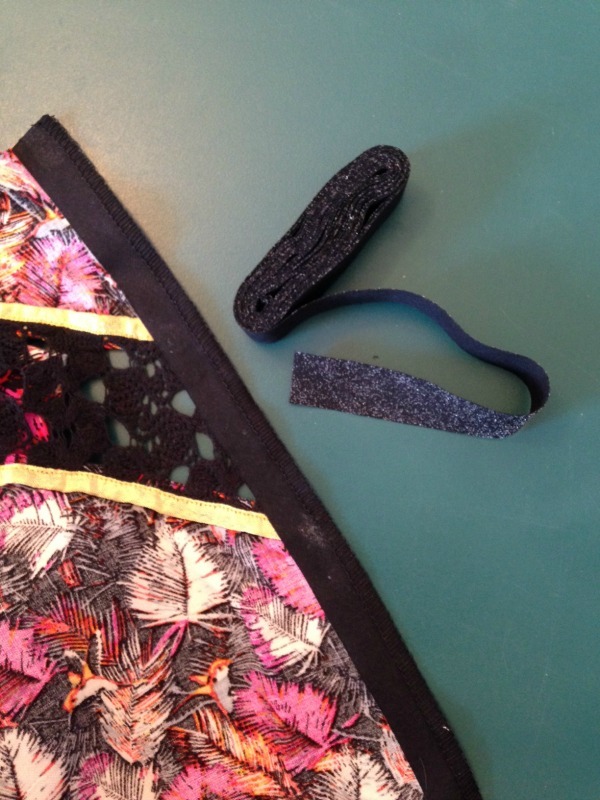 The facing has a centre back seam and the back lining won’t, so we’ll need to adjust for this – simply let the facing piece overhang at the centre back by 1cm. 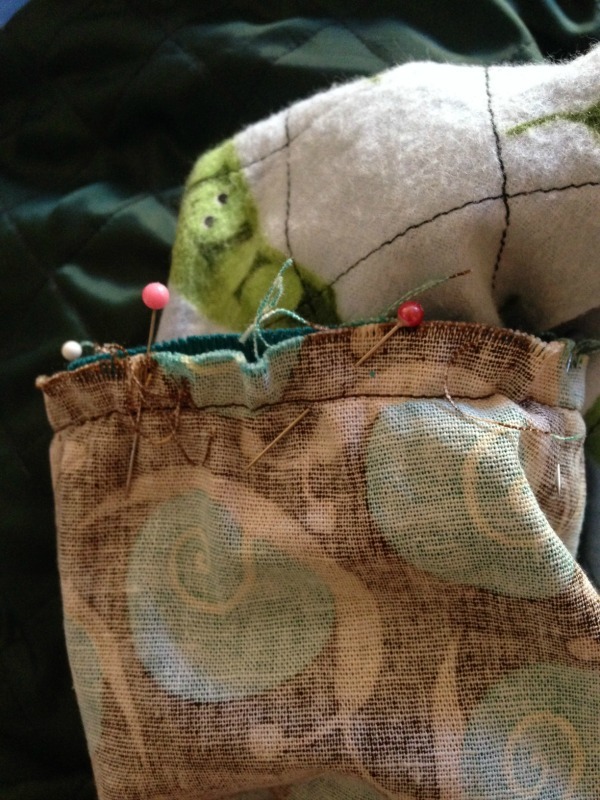 Add 2cm seam allowance towards the outside edge. Cut along your new line. 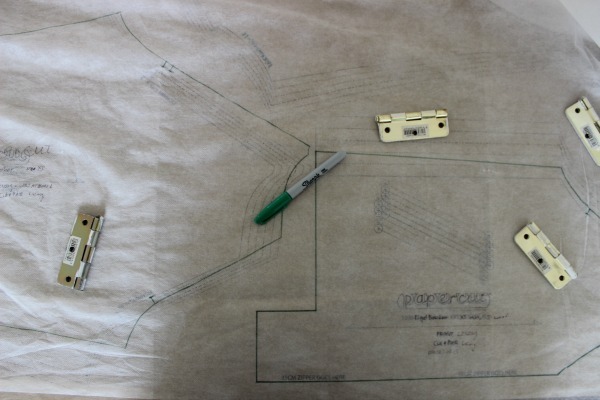 Rather than messing around with figuring out which part of the facing to trace onto the sleeve, we’re simply going to measure it. The facing is 8.5cm wide. 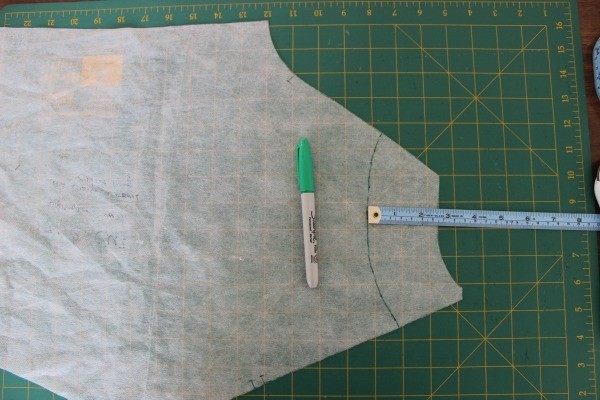 So, to allow for the 2cm seam allowance that needs to be added, measure down 6.5cm from the upper edge of the sleeve, and draw a line that follows the curve of the sleeve. 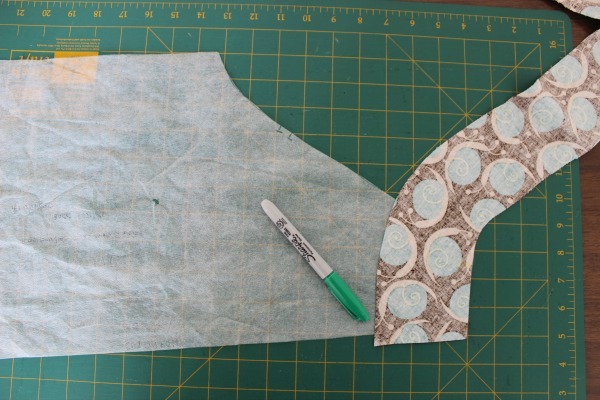 Cut out and stitch the lining pieces together the same as you would for the jacket shell – attach the sleeves to the front lining pieces, and also to the back lining piece. Pin the centre back seam of the facing to the centre back of the back lining, right sides together. The facing will be curving downwards. Pin the rest of the facing to the lining. 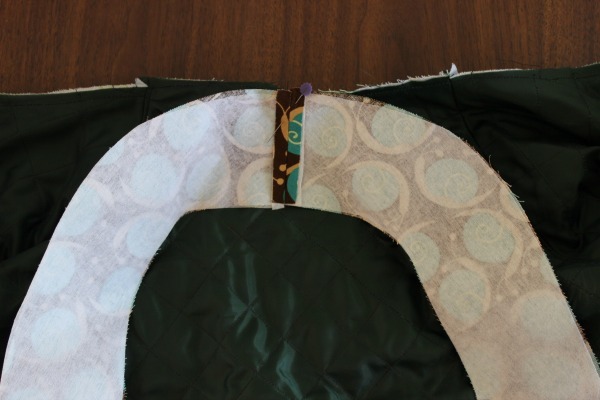 Make sure the distance from the end of the lining to the end of the facing is the same as the front extension, i.e. 7cm. 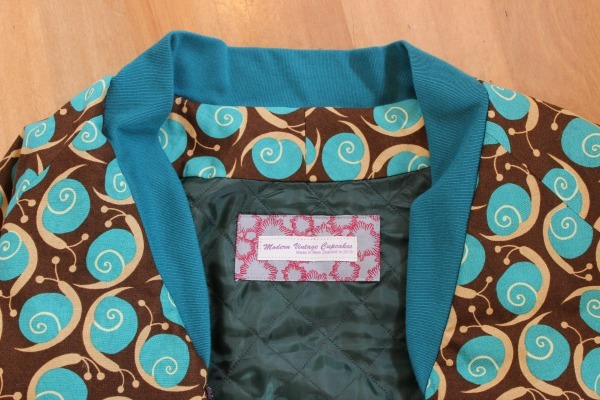 You’ll need to ease the facing onto the lining, due to the difference in curvature at the edges. Press the seam towards the facing. Your lining is now finished, and ready to be sewn into your jacket shell. Pin the lining onto he jacket as per the instructions for attaching the facing, and continue pinning all the way along the bottom of the jacket as well. Make sure the bottom ribbing is folded inside, just like the neck ribbing is, so it doesn’t get caught in the stitching). 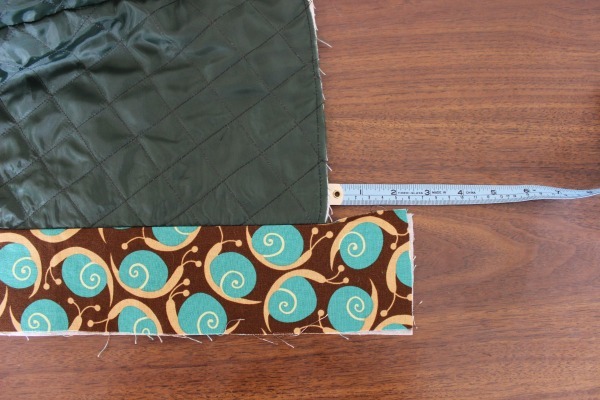 Sew the lining to the jacket, leaving a 10cm gap for turning the jacket back around the right way (I left my turning gap at the bottom of the jacket). 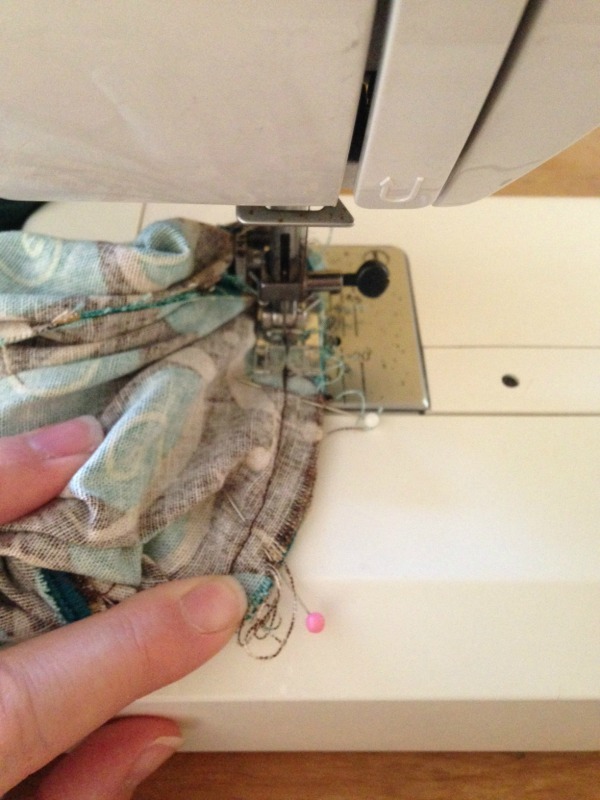 Tip: When stitching, have the shell fabric on the top, so that you can follow the stitching lines for the zip and ribbing to get the lining perfectly aligned on the inside with no stitching showing. The tricky bit will be the corners of the ribbing along the bottom of the jacket – follow the line of stitching that you made when attaching the ribbing to the jacket shell, and pivot at the corners. Clip the lining to the stitching at the corner (just as you did with the jacket shell at the same point) so it sits flat. 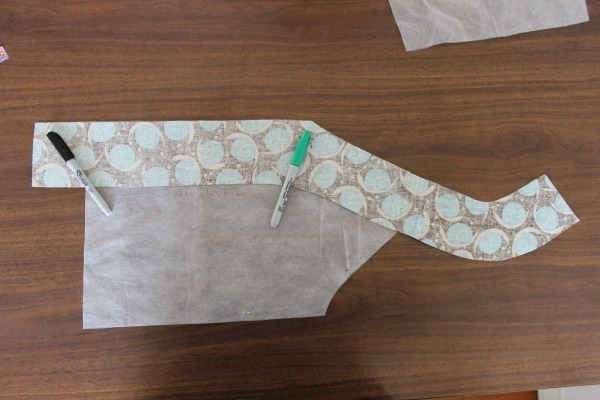 Turn your jacket the right way around, through the gap you left when attaching the lining. Poke out the corners at the bottom of the front extension so they’re nice and sharp, and give them a good press. 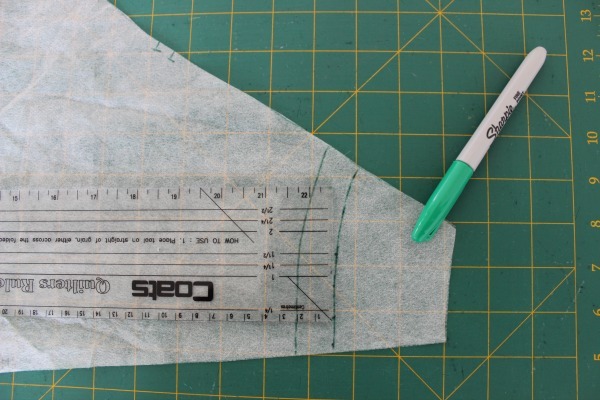 First, try your jacket on to make sure your lining isn’t twisted inside the sleeves. 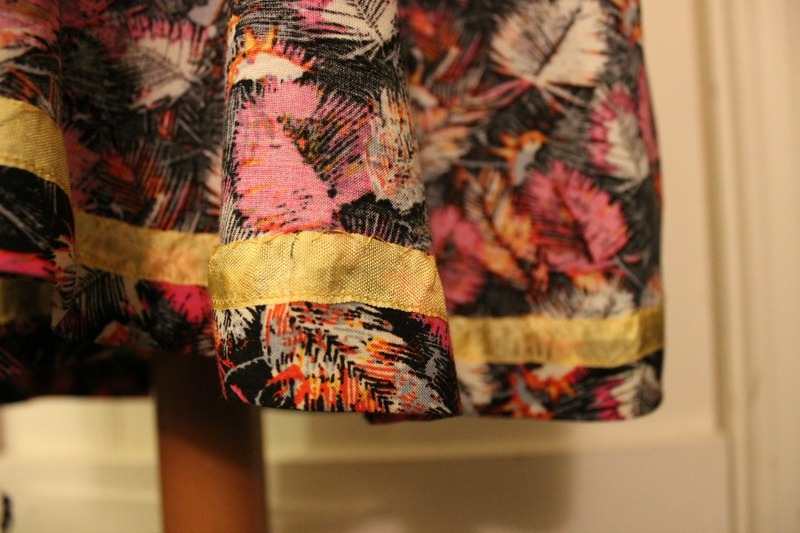 The lining should be sitting nicely inside the sleeves, with the seams of both lining and shell aligned. Reach inside the jacket through the gap you left when attaching the lining to the shell, and pull the sleeve out through the gap. 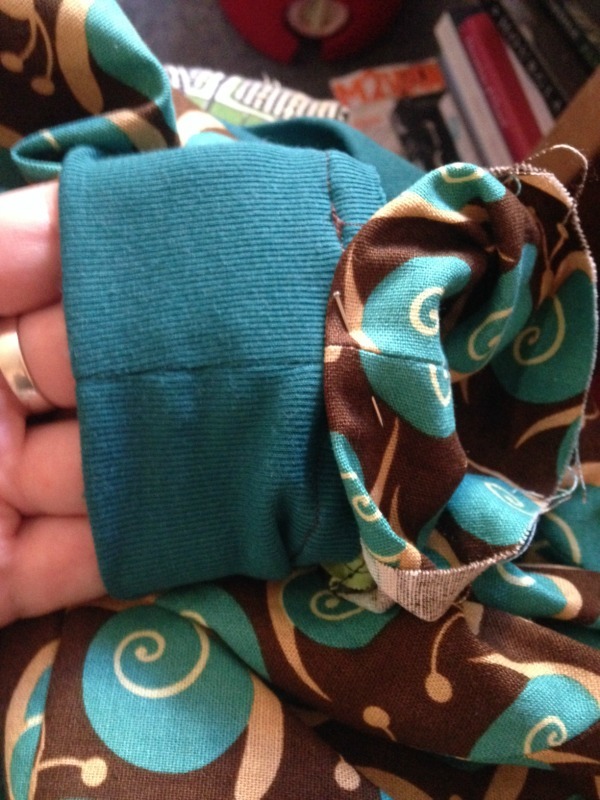 The sleeve and the sleeve lining will now be next to each other, attached by the small section you just pinned. 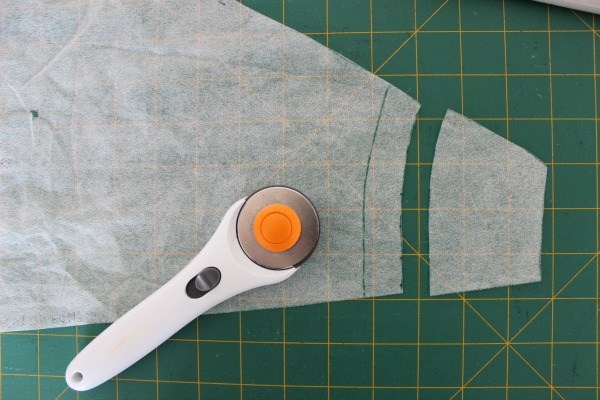 Pinch the pinned section together so it doesn’t move, take out the pin, and repin it with right sides together and raw edges aligned so you can stitch them together. Tuck the cuff down inside the seam so it doesn’t get caught in the stitching, and pin the sleeve and the sleeve lining together all the way around with the raw edges aligned and right sides together. Repeat the process with the second sleeve. 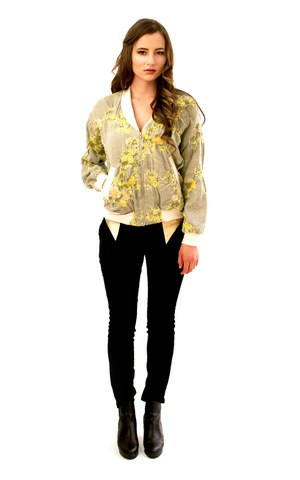 Rigel Bomber Jacket January is here! from Papercut. Which kicked off a whole Instagram conversation amoungst a bunch of people, where it transpired that a lot of us have that pattern, it’s been near the top of our things-to-sew queues for ages, and we still haven’t gotten around to making it up even though we really want to. Clearly, something needed to be done to give some of us that final push into making it up. 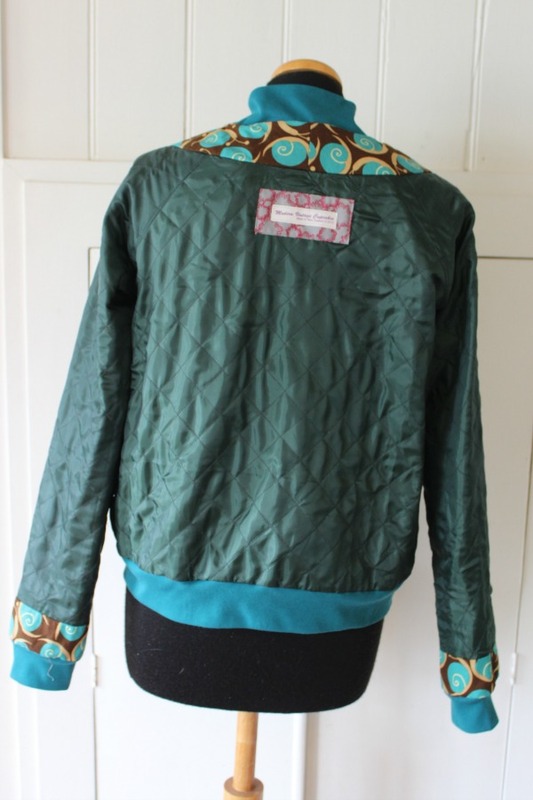 And so, Rigel Bomber Jacket January was born! 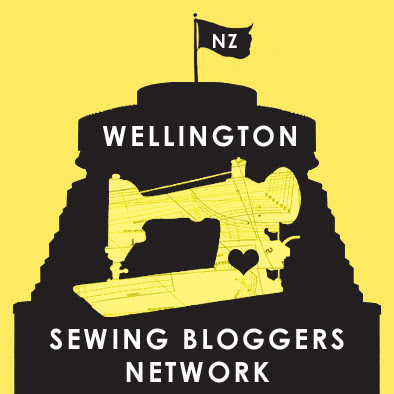 Ginger Makes, The Curious Kiwi and I teamed up to spur each other on, to encourage anyone else who wants to join us, and to make up our Rigels this January! Oh yeah, Rigel Bomber Jacket January! 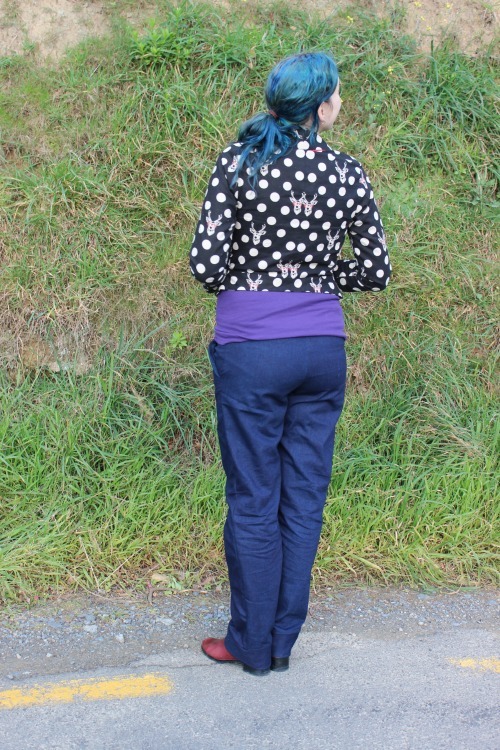 We’re going to be putting up inspiration posts, occasional tutorials (such as how to line the Rigel jacket), and sharing our progress and we go along the Rigel journey. 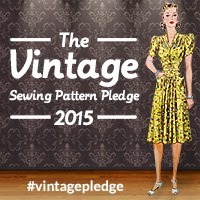 And if you need a little bit extra incentive to join us, there’s even a competition happening! Make up the Rigel pattern this January, and post it to the Flickr group by the end of the month, and you could win a Papercut pattern of your choice. 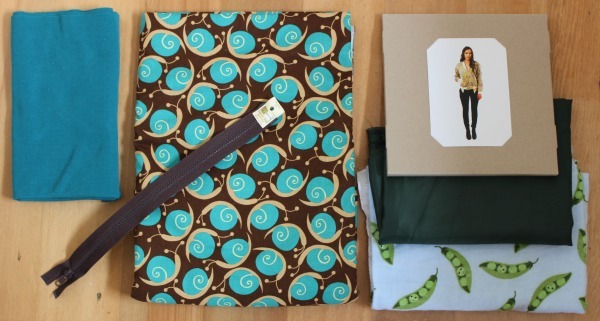 There will be three winners, who each win a pattern courtesy of the lovely Katie (the designer behind Papercut). So, I actually finished this a couple of weeks ago, but the first lot of photos turned out rubbish so I had to wait for another weekend to get some more. In the meantime, this top has been getting worn quite a bit! 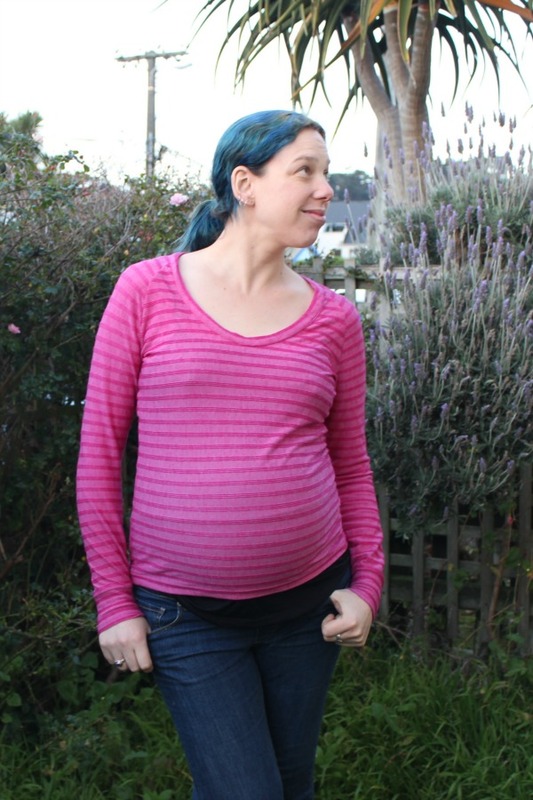 It’s the SJ Tee pattern from Papercut – described as a slouchy fit tee with raglan sleeves and a wide cuff. 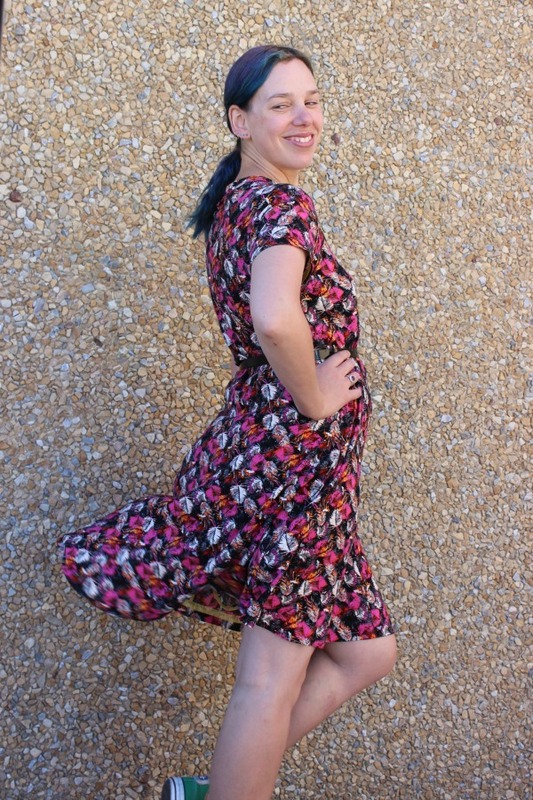 This is the second version of the SJ Tee pattern – Katie from Papercut re-released it when she released the super-cute Tri collection, and made some changes. 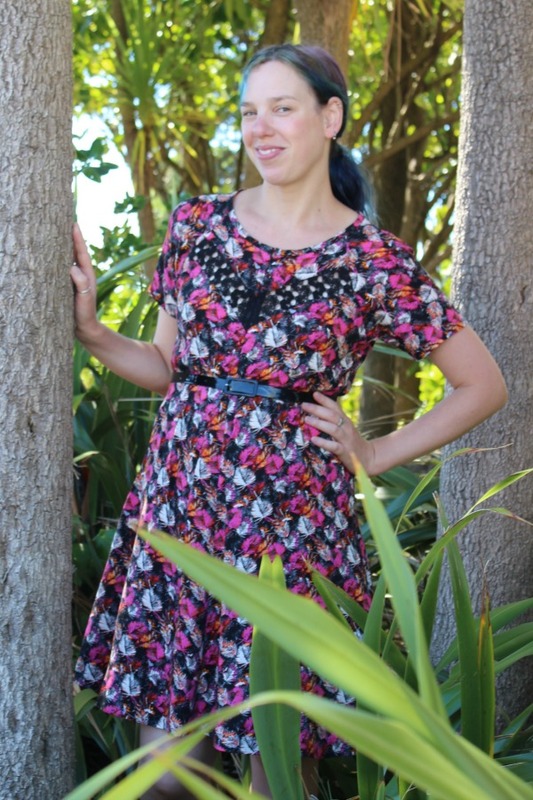 First up, there are more options – it can be made long or cropped, and with either long or short cuffed sleeves. 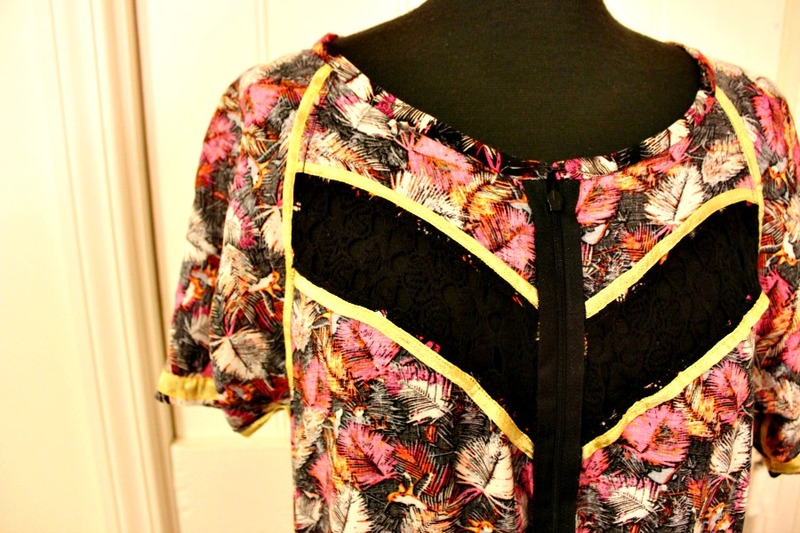 And secondly, the neckline was altered to bring it in closer (the first SJ tee was designed to fall off one shoulder). I don’t have the first pattern, so can’t really compare the two, but what I do know is, I rather like the cut of this one. 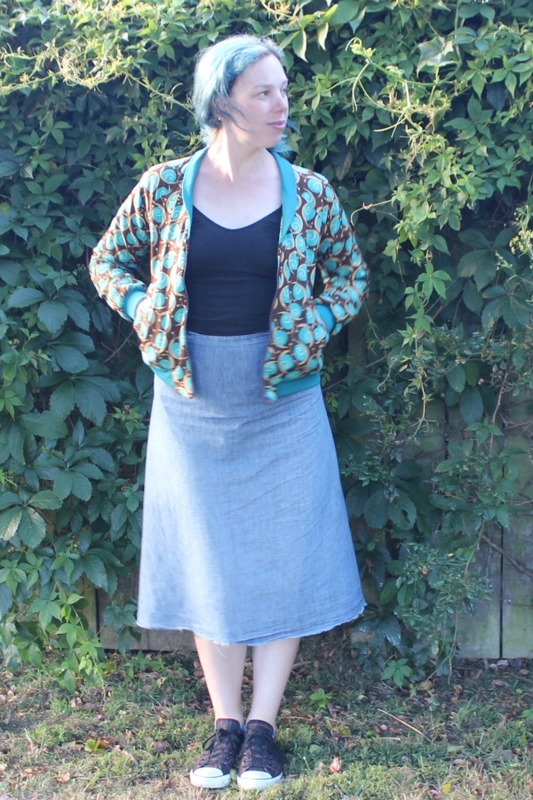 🙂 Plus, the sleeves are wonderfully long – just the right length of me, without needing to add more, which is rather unusual and makes me happy. The neckline is probably a bit wider than I’d like for a tshirt still, simply because of the gaping-while-leaning-forward-to-pick-up-a-child aspect, but maybe that’ll just serve as a good reminder for me to “bend your knees, not your back”. (Yes, yes, terrible habit, I know. *sigh*) Since I made this one with the intention of wearing it over other things, that doesn’t bother me anyway, and as long as I’m not leaning forward lots, I like where it sits. 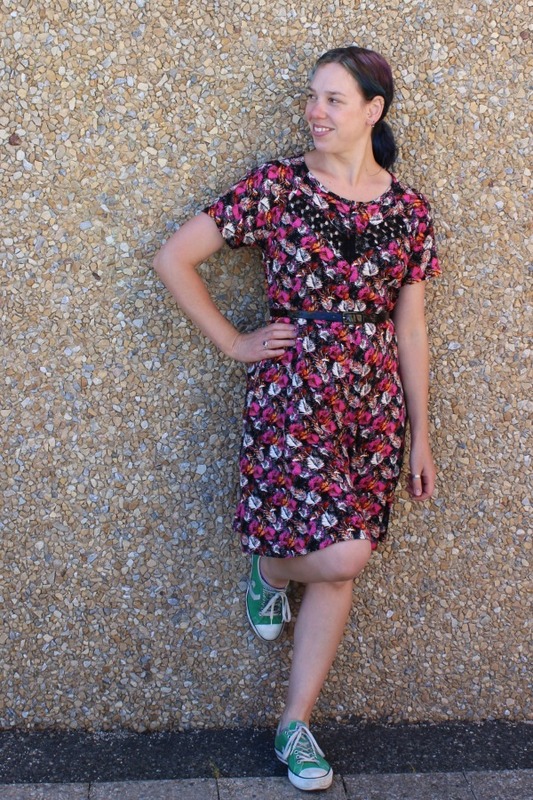 The pattern came together nice and quickly, with the aid of my trusty overlocker. (My gosh I love that thing!) I’ve been experimenting with using a twin needle instead of the coverstitch function on my overlocker recently, just to test it out, so I twin-needled up the hem, which all went fine. 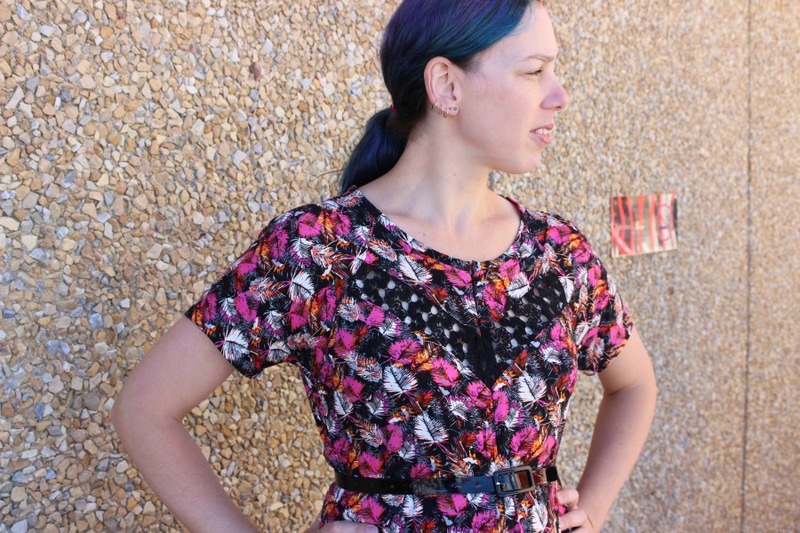 The rest of the edges are finished with cuffs or a neckband, which gives them all a nice, clean finish. My only real issue with making this one up was attaching the neck band. Now, I didn’t have any issues with the pattern itself, or the instructions. My issue is simply that I can never get neck bands done in this way to be as good as they could/should be. (But then, I am not exactly known for being a perfectionist in my sewing anyway, which would be a big contributor to this, whoops!) The band is attached like double-fold bias binding, which gives a nice, clean finish with no exposed edges on either the inside or the outside. I am just kinda useless at catching the underneath layer nicely with this sort of finish. Next time I think I’ll just use the classic fold-band-in-half, attach, top-stitch-seam-allowance-down method and save myself from a bit of self-beratement at my not-as-good-as-it-should-be finishing. Since I had just enough fabric to make the long-sleeved version, I thought I’d give that a go, and push myself out of my normal short-sleeved comfort zone. Glad I did – this is going to be great all year ‘round, I think. Light enough to throw on over a singlet in summer when it’s heading towards evening, and warm enough to use as a layering piece in winter. Win! 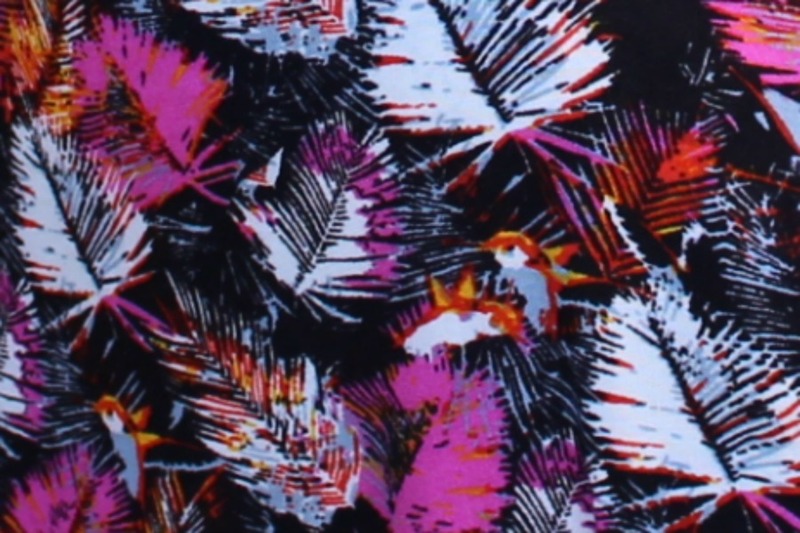 Final verdict on this pattern? Yeah, I’ll be making it again. 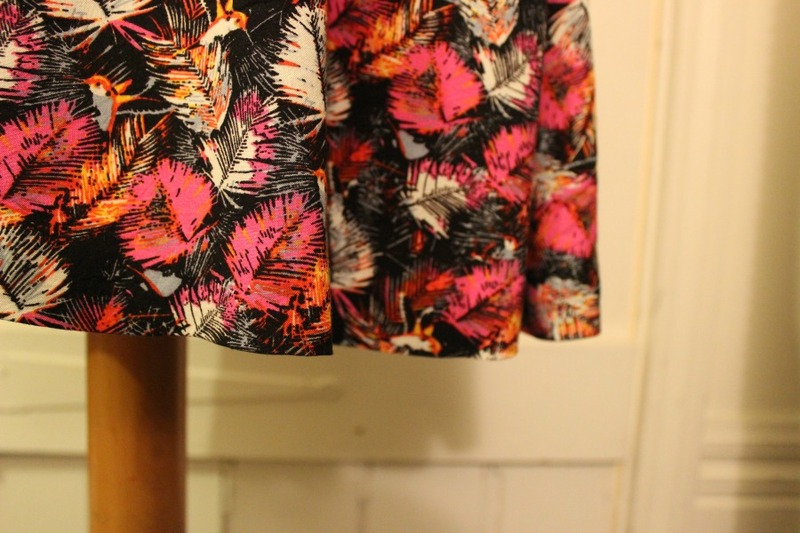 Short sleeved version next, for summer, I think. 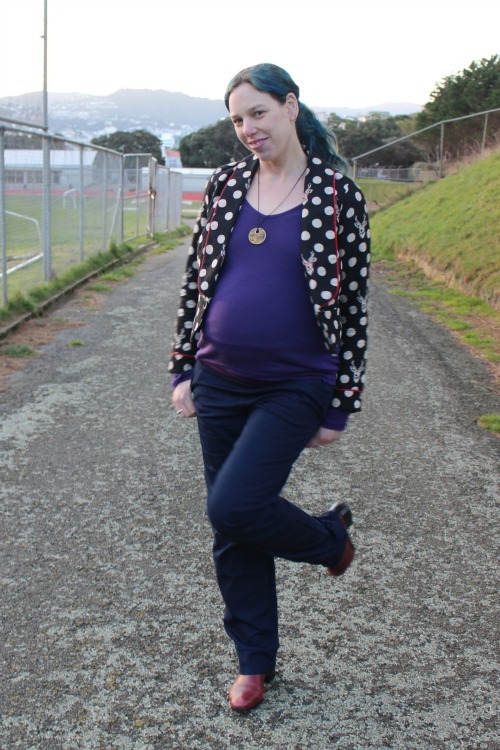 Here’s a new thing – maternity-trackpant-jeans! 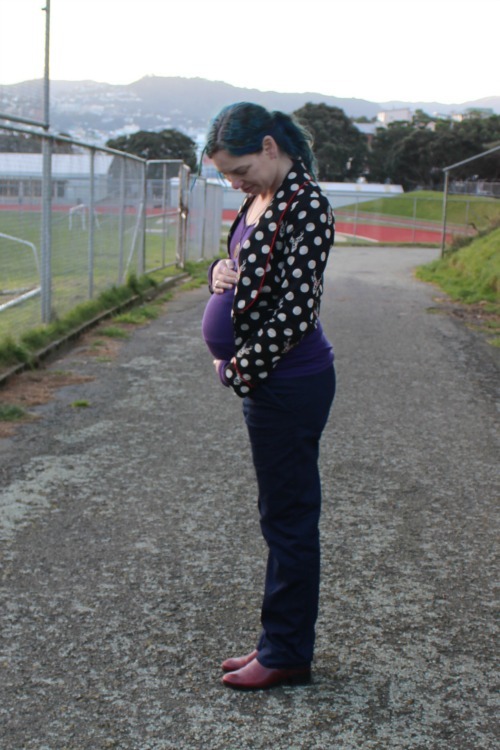 I’ve been in need of some new maternity trousers for a while (I have one pair. They get a lot of use. And a lot of washing, due to the Little Guy being around – he’s rather good at careful placements of messy hands on clean clothes.). Ever since I made my pair of Papercut Anima pants, I’ve been toying with the idea of making a second pair as maternity pants. 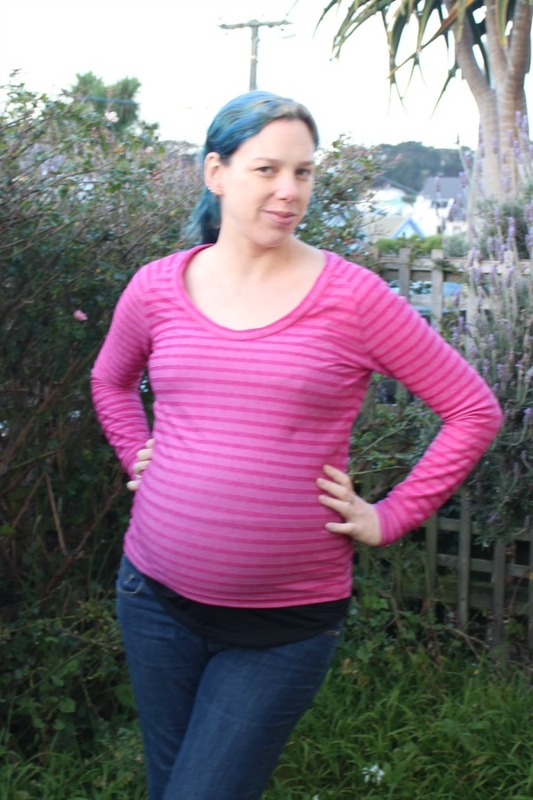 Where the waistband on them sits on me seemed like the perfect location for a maternity band to start instead, and I figured it would be super easy to switch out the elastic waistband for a wide maternity band instead. And then the Papercut Anima Pants contest came about. It was like fate was telling me to get a move on, stop thinking about it, and finally get around to making those maternity pants! 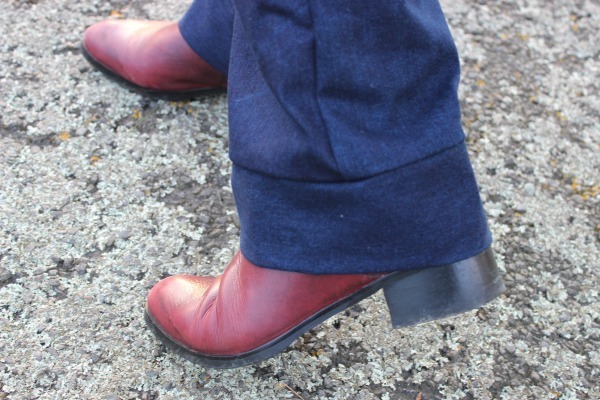 But since I don’t tend to wear knit fabric trousers for anything aside from exercising I decided to make ’em up as jeans instead, using a lightweight dark blue denim I had floating around in my stash (a.k.a. ‘fabric library’). 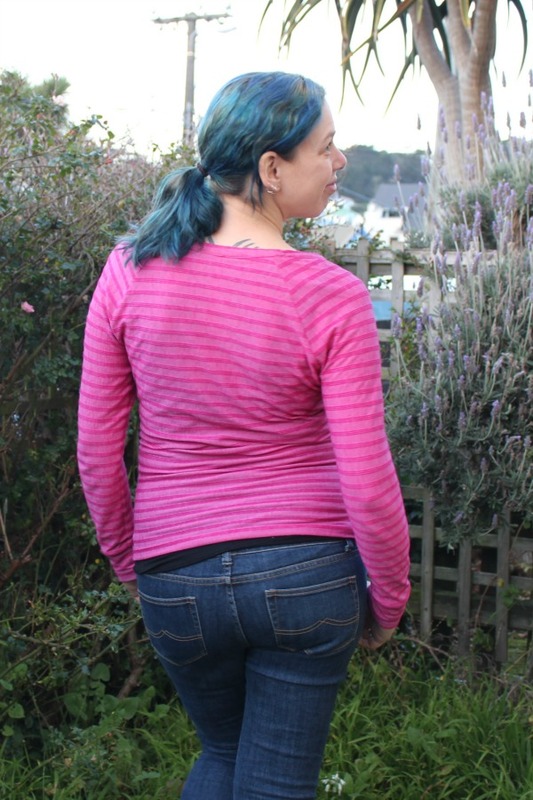 Yep, I took a pattern that was designed for knit fabrics, and used it to make a pair of jeans. And you know what? It was super easy! And they fit quite well, I reckon (although I also think the photos don’t do them justice, but oh well. Photos – tricky beasts they can be, no?). I also needed to do very little to them in the way of alterations. I made up the same size as I did last time, after trying on my other pair and deciding that there was enough room in the seat and thighs to get away with being made up in a woven. Sure enough – a good fit in all those areas. Aside from the maternity hack, the only changes I made were to the legs. 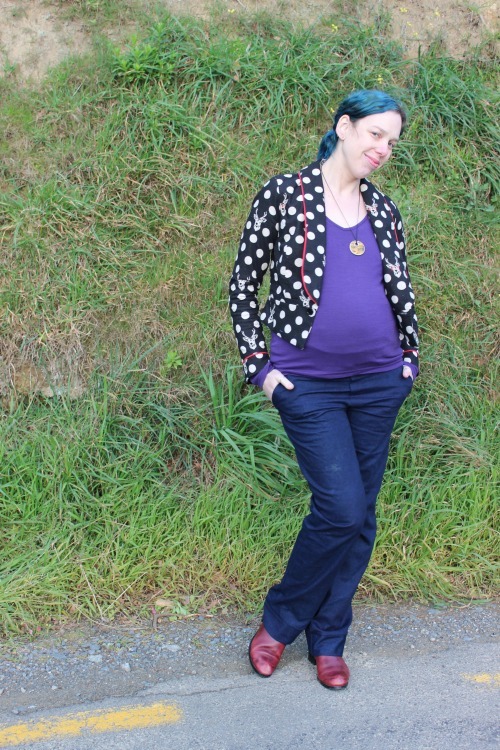 My other maternity jeans are skinny leg ones, so I thought I’d go for something a bit wider with this pair. I widened the legs a bit heading towards (but not quite at) a straight leg style. I also lengthened them a bit (since I have crazy long legs and I wasn’t going to put the wide cuff on at the bottom) and drafted a narrower, straight cuff for at the bottom. 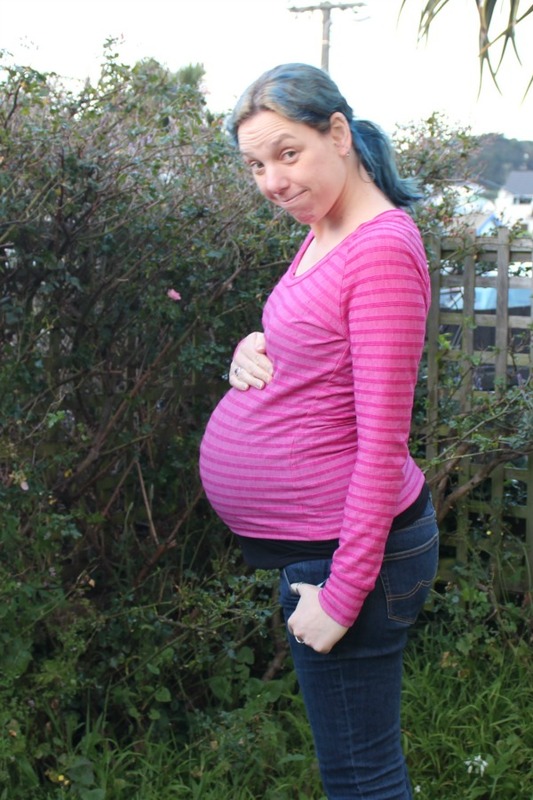 Check out the size of that bump – 27 weeks and counting! I continue to be slightly terrified by how large it’s going to get this time around….